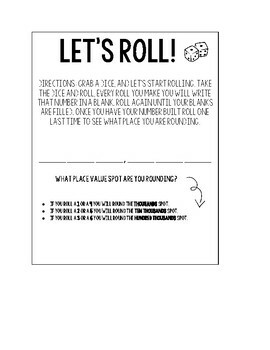 This a simple place value activity that students can use for review, practice, or fun. The game is quick and great for small group and station work. I recommend printing on astrobright paper and laminating for continued use.